Our free-standing sensory full length mirror has been designed to provide visual feedback for your child. On the legs of the mirror are different shapes that contain tactile and visual stimulation in addition to the mirror. 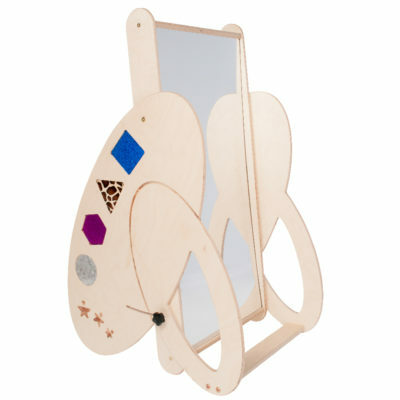 The mirror can be tilted and it can be used during sensory and therapy sessions.